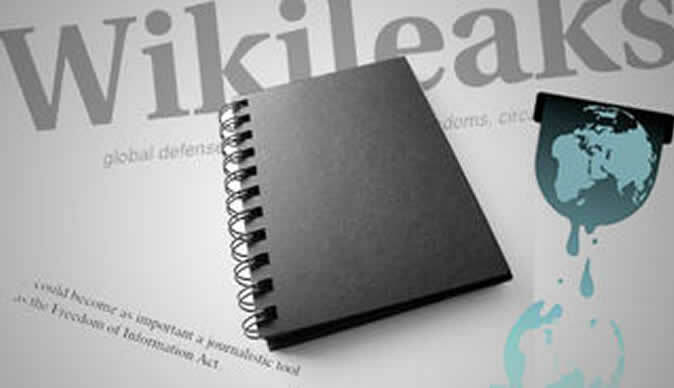 Whistle blower website, WikiLeaks, is on the verge of releasing millions more confidential US diplomatic cables with Zimbabwe bracing for a fresh potential fallout. The reports are likely to cause panic and tremors especially in Zanu PF where top officials were reported to have secretly met United States diplomats. WikiLeaks founder Julian Assange said this week the looming release would cover every major issue in the world today. Assange did not provide details about their contents but said they "affect every country in the world." He made the statement from the Ecuadorian Embassy in London, where he has been holed up for more than seven months. Ecuador's government granted him asylum in August last year, but British authorities have said they will arrest him if he leaves the premises. The release of the last 250 000 diplomatic cables - many stamped secret - rattled Zimbabwe and embarrassed the United States by laying bare reports about critical issues in Zimbabwean politics that senior diplomats were sending back to Washington. Prime Minister Morgan Tsvangirai was characterised WikiLeaks return triggers tremors by US diplomats as "weak and indecisive" while President Robert Mugabe was said to be plagued by old age and prostate cancer which has metastasized. The cables branded the MDC "far from ideal" and is "convinced that had we (the US) had different partners, we could have achieved more already." If the MDC forms an exclusive government, the current leadership would "require massive hand-holding and assistance should they ever come to power," the last batch of cables said. The US diplomats admitted the MDC leader was a "brave, committed man" with "star quality." The leaked documents also named top Zanu PF officials who were speaking to US diplomats in Harare and Pretoria, something that is frowned upon by Mugabe's leadership. WikiLeaks blew the cover on senior Zanu PF and government officials, including Vice President Joice Mujuru and serving and former cabinet ministers, Emmerson Mnangagwa, Nicholas Goche, Saviour Kasukuwere, Jonathan Moyo, and Sikhanyiso Ndlovu among others. Senior MDC officials were also quoted in the diplomatic cables. The forthcoming release threatens to expose more officials. Sharon Hudson-Dean, the US embassy spokesperson is on record stating that as a matter of policy, the embassy did not comment on documents that "purport" to contain classified information. "We condemn in the strongest terms the deliberate and unauthorized disclosure of information represented as classified materials by individuals and organizations which puts lives at risk and jeopardizes our national security," Hudson-Dean said. "Any unauthorised disclosure of information by WikiLeaks has harmful implications not only for the lives of identified individuals, but also for global engagement among and between nations." The ongoing systematic release of the diplomatic cables is the biggest leak of diplomatic cables in history. US diplomats face an uphill battle to stave off anger over the looming cables.